Place your Qi-enabled smartphone on the non-slip pad to enjoy wireless fast charging up to 10W and view incoming notifications, without overheating thanks to the built-in fan. The processors and lithium batteries in your phone have been shown to be more productive for longer when they are kept at lower temperatures. 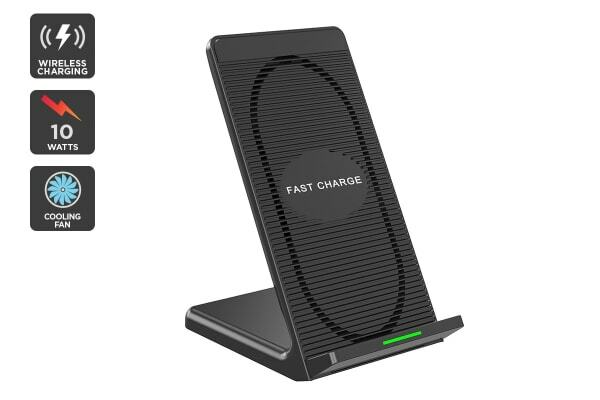 Get peace of mind for the safety of your battery with the Kogan Rapid Cool Wireless Charging Stand, helping to prevent premature aging and irreparable heat damage such as thermal screen fracturing. 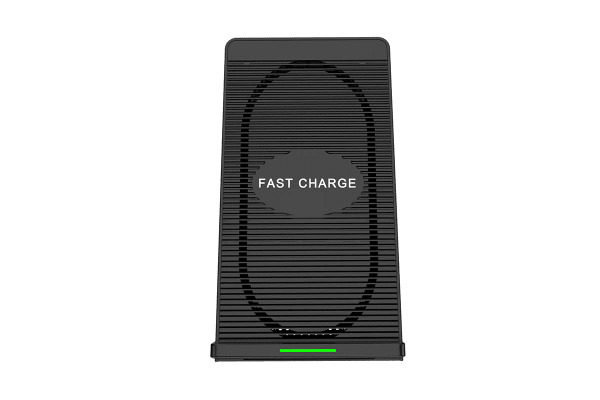 The stand intelligently identifies the optimum level of power for your device, delivering the most efficient, high-speed charge possible without the risk of the wrong power level. 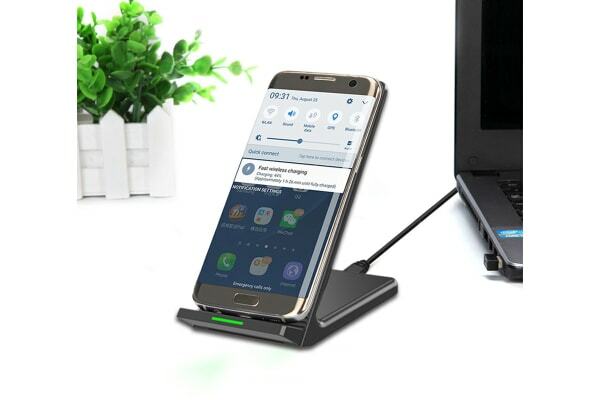 The elevated stand also allows you to place your phone down without fiddly wires, helping to declutter your space and view incoming notifications clearly. You can also choose to switch the fan off – perfect for charging at night!